The Fijian leader, Frank Bainimarama, has strongly denied claims made by two prominent former local journalists – writing in the New Zealand media – that he tried to mount three coups before his successful takeover in December 2006. In two articles in the New Zealand Herald, the Oxford-based academic Victor Lal and Russell Hunter, the former publisher of the Fiji Sun, said Bainimarama had tried to take over the country after the Speight coup in 2000, and then again in 2004 and 2005. The latest article today details what the authors say is leaked correspondence from some of Bainimarama’s fellow officers urging him not to proceed and warning that they would oppose him. In his interview with Grubsheet in Suva, the Fijian leader said the allegations were “not true”. In the case of 2000, Lal and Hunter report that Bainimarama demanded that the military should be given the authority to rule Fiji for 50 years but this was opposed by the then president, Ratu Josefa Iloilo. Denying the account, Commodore Bainimarama said he was already in control of Fiji in 2000. “For their information, I was in charge of the nation in 2000, so I took over in 2000. I gave the government to (Laisenia) Qarase”. The Prime Minister said it was historical fact that he had handed the reins of power to Laisenia Qarase hoping that he would govern for all Fijians and not just the indigenous majority. “Everyone knows the story of 2000 when I came in, so why they change this and (have) people believing it, I don’t know”. 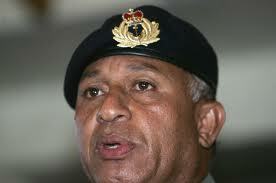 Commodore Bainimarama also denied subsequent attempts to seize government before his successful coup in 2006. ” In 2004 and 2005, there was no intention then to remove the government because I was trying to tell the government to play ball. There was a build-up of animosity between us and the government of the day, but there was no intention then to remove them because I was trying to get them to change their stance on the Qoliqoli ( coastal resources ) Bill and the racism that was rife. I was trying to persuade Qarase that he was wrong but there was no talk of us wanting to do coups then”, he said. The Fijian leader also responded to the account by Lal and Hunter that the former Australian police chief in Fiji, Andrew Hughes, tried to persuade NZ police to arrest him during a visit there in the lead-up to the 2006 coup. According to their report, Hughes believed that comments made by Bainimarama during the visit constituted grounds for a NZ charge of perverting the course justice. These comments related to an ongoing police investigation in Fiji into whether Bainimarama’s could be charged with sedition for threatening to overthrow the government of Laisenia Qarase. In the event, the New Zealanders refused to act, primarily because of fears for the safety of NZ citizens in Fiji if the arrest provoked a backlash in the military. In the Grubsheet interview, The Fijian leader said he’d been aware at the time of the Hughes plan to have him arrested but had ignored it. “I didn’t think much of it because I think this guy is a twit. I mean, who would think of getting away with the arrest of a defence force chief in the Pacific, especially an Australian coming to arrest a commander of the Fiji Military Forces”, he said. Noting that the then NZ Police chief, Howard Broad “had more sense” than Hughes to reject the request, Commodore Bainimarama said the arrest attempt “didn’t surprise him” and he believed that Andrew Hughes was acting on the instructions of the Australian Government. “I have no doubt about that. The government of the day ( Qarase’s SDL) were puppets in the hands of the Australians so Hughes was doing the bidding of both the Qarase government and the Australian Government”, he said.The Fijian leader said the arrest attempt did not change his behaviour in any way. “We’d already made up our minds on what we were going to do and that was to remove Qarase”. he said. He also launched an attack on Lal and Hunter, claiming they were engaged in a personal vendetta against him. “You should look at the writers. They are not credible people. Victor Lal runs down everyone in Fiji. So does Russell Hunter”. 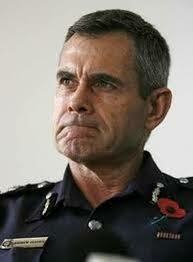 The prime minister said Hunter was motivated by anger that he’d been expelled from Fiji after 2006. “He got the kick from here so obviously he will try and retaliate”, Bainimarama said. This article has subsequently appeared in the New Zealand Herald and the Fiji Sun. You really are an intrepid reporter daring to find the truth. NOT! You get a chance to interview a dictator and you lob him some easy questions for which Sharon and Qorvis have prepared his answers. Shame on you, call yourself a journalist. When you were in Fiji you made some time to meet with the people who want to see the end of dictatorship in Fiji. Did you interview them? Did you find out the opposing view to all the propaganda you were fed by your friend Sharon? I would compare your trip to Suva like this. Graham Davies went to Damascus and asked President Assad a few questions. He took the answers at face value and left thinking Assad is a jolly nice fellow and had no idea why those naughty people are demonstrating? Thank you, Guy. Always a pleasure to have you venting your spleen in my direction. I was in Fiji to interview the prime minister, who hasn’t spoken to anyone face to face for 18 months. His critics have plenty of other outlets any day of the week. What you’ve chosen to attack is a fraction of what he had to say but I make no apologies for allowing him to respond immediately to the Victor Lal/ Russell Hunter material in the NZ Herald. It would have been wrong of me to have suppressed it when it was run so prominently in NZ. The full half hour interview with Bainimarama will screen soon on Sky News in Australia and NZ and on FBCTV in Fiji. Doubtless you’ll be deeply unhappy to hear the country’s leader speak for the first time in a long time. But others who are less dogmatic may at least be interested to hear what he has to say. The notion that I have to include anyone else in Fiji on the program is absurd. It is an extended interview with the country’s leader, not a comprehensive story on the country per se. I spoke to a score of people before the interview to get background. And I’ve raised all the usual criticisms of the regime – the lack of freedom of expression and his tussles with the unions and the Methodist Church. For the record, I was given no brief, no subject was ruled out of bounds, and while I naturally had a meeting beforehand with Sharon Smith Johns, I saw no-one from Qorvis at all. That said, I fully expect you and those of your ilk to shoot the messenger (me ) for not pistol whipping the prime minister into following your own line. However irritating it might be to you, I’m a journalist, not an assassin. Hey Graham why do you keep on calling Frank Bainimarama the Prime Minister of Fiji when he was never elected as PM by the fijian people??? i think we should call him that after the 2014 elections if he wins, right?? Hi Richard, welcome to the site. I know a lot of people think that a prime minister has to be elected but this is not so. As Wikipedia tells it: “The first actual usage of the term prime minister or Premier Ministre was used by Cardinal Richelieu when in 1625 he was named to head the royal council as prime minister of France.” Ordinary people had no say in it at all. Congratulations on being the first person that Commodore Bainimarama has spoken to face to face for 18 months. I’m sure Mary and the kids are terribly jealous. Still, contrary to your claim that Guy (who lives in Fiji) hasn’t heard the country’s leader speak for the first time in a long time, all those who live in Fiji have had ample opportunity to hear our leader’s voice many times over the past year. We hear him speak most days on a variety of subjects and if we’re not listening to him, we’re reading about his thoughts on a number of other subjects. And, if we’re not reading about his thoughts, we see his image – which appears several times every day in the Fiji Sun, the Fiji Times, gazing down benignly down from Road Safety posters and the like. On the other hand you, who live in Australia, probably haven’t had the daily exposure the rest of us have. So your excitement at being granted the opportunity to allow our leader to supply an unsuppressed version of his response to Russell Hunter/ Victor Lal’s article is understandable. But I’m sure you’ll excuse those of a certain ‘ilk’ for being somewhat underwhelmed by it all. That said I do look forward to your interview being aired. Not for the Commodore’s participation since I don’t expect to hear anything particularly unusual from him, but to hear your questions – their content and the tone of the follow up questions to his answers. Will the interview be Paxman-like, or will it be the sort of fluffy têtê-à- têtê for which South African reporters were renowned when they interviewed government ministers in the 1980’s? I have my reservations but certainly won’t prejudge. The one thing I don’t expect, nor would want, is the Fox News type of hounding journalism – the ‘pistol whipping’ as you so adroitly describe it. After all, any attempt to corner our leader would have resulted in you being unceremoniously kicked out of the country like Russell Hunter who was, as you’ll recall, pursuing Mahendra Chaudry at the time. Russell Hunter – now that’s a name which conjures up your expression ‘shooting the messenger’ if ever a name did. There was a fellow who ‘got the kick’ and who was, in the end, proved correct. Something that, by sacking Chaudry, was tacitly acknowledged by those who gave Hunter ‘the kick’ – even if they do now claim that he isn’t a credible person. Jon, I am not interviewing Frank Bainimarama for your benefit or the benefit of those around you. It is primarily for a foreign audience with little grasp of the issues in Fiji. And because it is demonstrably true that this is his first interview with a journalist for 18 months or so ( your quip about Mary and the kids is mildly amusing but the reddest of herrings ), there is also strong interest in Fiji. If you truly believe in free expression, surely the PM deserves to be heard. My approach has been to elicit information from Bainimarama for the benefit of my audience, not to upset him and get his back up with a gratuitous display of Paxmanism that might play well with his opponents but is all heat and no light. So, yes, if you’re looking for blood on the floor, stick to the Paxman clips on Youtube. I think my audience expects me to treat a national leader with a modicum of respect. Whether you already feel assailed by his views living in Fiji is neither here nor there for someone living in Karatha or Kaikoura. Yes, there are people like you who regard him as loathsome. But it is not my role to demonise him. He is not the antiChrist and deserves to be heard above the cacophony of protest so that his message can be heard and people can make up their own minds about him. Doubtless – as an implacable opponent of the regime -the interview will reinforce all your own prejudices and you are welcome to vent your anger in these columns after the event. It’s called freedom of expression. You have it here so what’s your problem? Oh, I know. You’d rather Bainimarama wasn’t heard at all. A true democrat. There are some points you’ve made which I feel compelled to refute on a personal level, before I deal with other inaccuracies in your reply. I do you the courtesy of writing to you under my own name, rather than hiding behind a pseudonym. Therefore I would be grateful if you didn’t ascribe to me emotive phrases that have nothing to do with the truth but which can only be described as a figment of your insidiously unpleasant imagination. Firstly, you assert that people like me and, by obvious inference, me – regard Commodore Bainimarama as ‘loathsome’. This is not only false but slanderously so. I do disagree with certain policies which this government has and I do disagree with the way in which some policies are carried out. However since I do, as you say ‘truly believe in free expression’ I have the right to disagree, without being accused by the likes of you of finding the Mr Bainimarama ‘loathsome’. Under the circumstances, I find your deliberatively inaccurate, emotive expression contemptible and feel that it would far better express the way I now view you. I am not, as you claim, ‘an implacable opponent of the regime’. Since you appear unable to define the word implacable it means ‘impossible to please’. To the contrary, I have been greatly pleased by the improvement in certain areas of government service delivery, the improved collection of local rates, the wider spreading of the tax net, the consequent reduction in income tax and other important facets of our society. Graham – living in Australia it might have escaped your attention that the Prime Minister gives interviews to journalists all the time – in fact daily, both in Fiji and abroad. Perhaps you’re referring to your level of journalism, in which case I’d agree with you – he hasn’t bothered to since the last time he spoke with you. Which was presumably 18 months ago. You write that your interview will reinforce all my own prejudices. You show prejudice unmatched by anything I’m capable of by writing that I’d ‘rather Bainimarama wasn’t heard at all’. To write such foolishness is beyond even your standards. Why on earth do you suppose I wouldn’t want to hear all sides of a story? Bainimarama, Qarase, Hughes, Rudd – all have interesting accounts to relate. Is your assessment of my ‘prejudices’ perhaps because you yourself will be providing your viewer in Karatha or Kaikoura with only one side of the story? Paxman-like? Having received your reply I now realise how wrong I was to have mentioned Jeremy Paxman’s name in any reference to an example of journalistic enquiry capable of being set by you. Jon, you are a sensitive little senikau, aren’t you. Happy to do all the verballing – like accuse me of being unprofessional – but react hurt and indignant when the ball is lobbed back in your court. This is a blog, not a publicly funded news site, and I have firm opinions that I express in these columns. I also give you the opportunity to disagree, which is as it should be. Let’s just get one thing straight. The PM’s people tell me mine is the first long format interview with the PM by any journalist – local or foreign – since the admirable Phillippa McDonald did him for the ABC 18 months ago. So while you’ve evidently had the benefit of his opinions from many media appearances in Fiji, those living outside the country haven’t. It is not being “self-important” to point this out. It is – so far as I can determine – absolute fact. And the importance of it is not about me. It is about the fact that Bainimarama is addressing a host of issues – of importance to the entire region – that have developed over the past 18 months. These include his own political intentions, who precisely can and cannot stand in the election when it’s held, the Roko Ului saga, the split in the Pacific regional community, the nature of Fiji’s relations with the Chinese and the Russians, the entire “friends with everyone” policy, the clapdown on the unions and the Methodist Church and the continuing concerns about freedom of expression. If you’re not interested in this, don’t watch. If you’re looking for a hatchet job on my part, don’t watch. Just as I wouldn’t take an axe to any national leader, I treat the PM with respect but pose many of the questions that everyone in Fiji is also asking. None of it was vetted in advance. If I’ve cast you unfairly as an implacable opponent of the regime , I apologise. But I’d make the observation that the tone of your correspondence doesn’t appear to make you the PM’s biggest fan either. And your comments about me – without seeing the interview and based on a couple of breakout news stories in advance – are gratuitous. I am writing on behalf of Rokoului. I see one of the topics discussed in your interview is “The Roko ului Saga”. Please let me know how we can set this up. Otto, I’m not in a position to give you right of reply in advance because I am not the broadcaster and it is not in my gift to do so. In any event, it is a formal interview with the prime minister conducted on the understanding that it is a stand alone segment. As is normal practice with these things, you are free to respond to the PM’s comments when they enter the public arena. I certainly believe that in the interests of balance and fairness, you are entitled to respond and I’m happy to provide you with a right of reply in these columns when the time comes. 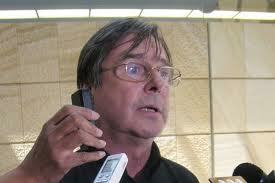 Perhaps you can send me your contacts with the broadcasters. I am sure they would welcome Rokoului’s responses to give the programme more balance. Your imagination seems rather flighty. Having incorrectly asserted that I regard Mr Bainimarama as loathsome and that I’m an implacable opponent of this government, you now go on to claim that I accuse you of being unprofessional – presumably because I’ve ruffled your own delicate petals by comparing you unfavourably to a world renowned journalist who is at the top of his craft. I haven’t accused you of unprofessionalism in any of my comments, despite the fact it’s taken 3 attempts to elicit from you what you actually meant when you wrote ‘the first person’ to speak to the PM, then clarified that by saying the ‘first journalist to interview’ the PM and have now, finally, have given your readers the reality of absolute fact, which is that you’ve been told yours is the first long format interview with the PM for the past 18 months. So now it’s clear. Not hard really, was it? Contrary to your expectations, I don’t expect you to take an axe to any national leader as I doubt you’d be capable of doing so. I would expect you to treat any nation’s leader with deference and respect – in fact I would expect you to treat anyone who you interviewed face to face with respect, but with searching questions and a refusal to accept glib answers out of respect for the viewers’ intelligence, whether they come from Karatha, Kaikoura or Kalabo. The comments I made in my reply to you were not gratuitous – they were made on your unnecessarily insidious interpretation of my original post in which I wrote that whilst I have reservations about your questions and how you deal with the answers, I won’t prejudge the interview. Quite how you took the leap of logic you did by translating my innocuous, albeit acerbic, comments into ‘implacable’ opposition of a ‘loathsome’ individual is quite beyond me. Perhaps you take pride in your hyperbole. Nevertheless I accept your apology, thank you. Despite your claim that you didn’t interview Mr Bainimarama for my benefit or those around me (Fijians – you know, the ones who live in Fiji and are, unlike viewers in Karatha and Kaikoura, directly affected by Mr Bainimarama’s actions) I look forward to hearing it. Jon, just it takes the patience of Job to run a country, it takes the patience of Job to run a modest blog. A constant battle against hair splitters feigning reason to score cheap points and make their very modest points. Graham, you have my sympathy but you can always stop whenever you feel like it. Until then – head up, keep at it, stay strong and maintain accuracy. We know from reading Grubsheet you are a supporter of Bainimarama, someone that you acknowledge is a dictator. He is a dictator who suppresses free speech in his own country, a dictator who stops any opposition from meeting, a dictator who uses the military, the police, FICAC and the judiciary to harass his opponents. You say he deserves to be heard. Don’t I deserve to be heard in Fiji without fear? You proudly say this is going to be broadcast on FBC in Fiji. Will FBC give an opponent the same anount of airtime to give a different point of view. Of course not. But only last week in this very column you were castigating TVNZ for doing the same. There is massive hypocricy at work here. For some reason you are intent on giving a dictator a free ride whilst attacking elected leaders and Prime Ministers. You say there was no interference from Sharon or Qorvis But I know you agreed in advance the areas of questioning and you can be sure the hired propagandists were busy preparing the dictator with his answers. Perhaps I will be pleasantly surprised and see there are follow up questions to put him on the spot. I doubt it and I expect we will see you giving a dictator the credibility he does not deserve. I look forward to continuing the debate when we see the full interview. By the way what is your email address? You asked for my thoughts on the way forward and I will email them to you. For the record, I provided Sharon Smith Johns, at her request, with some of the subjects I wanted to cover but not the specific questions I asked on the day. This is entirely normal in the way of these things. No area was ruled out and, of course, I asked questions that weren’t covered in the general brief. This was submitted before the interview was granted and I’d had a chance to catch up on local events at first hand. All perfectly normal. He has just posted a number of documents which corroborate the Victor Lal and Russell Hunter’s story. These are signed documents written by officers and civil servants which confirm Bainimarama’s intentions to take over the government in 2003-4. I suggest you do a bit more research before going on air. I would hate for you to look a fool as you allow a dictator to lie to your face, unchallenged. Graham I thank you for intervieing the Prime Minister. His success and failures will be measured later. I also appreciate the hard work of the Prime Minister. Guy and Otto …. Why shoot the messenger? It’s a one on one between Davis and VB. If you believe in free speech and VB has the right to put his point of view in the interview then so be it. We all have a brain to decide whether it’s true or not. Maybe Davis should interview both of you …. And you will definitely have opposite views as well. Thanks Davis, the messenger…..